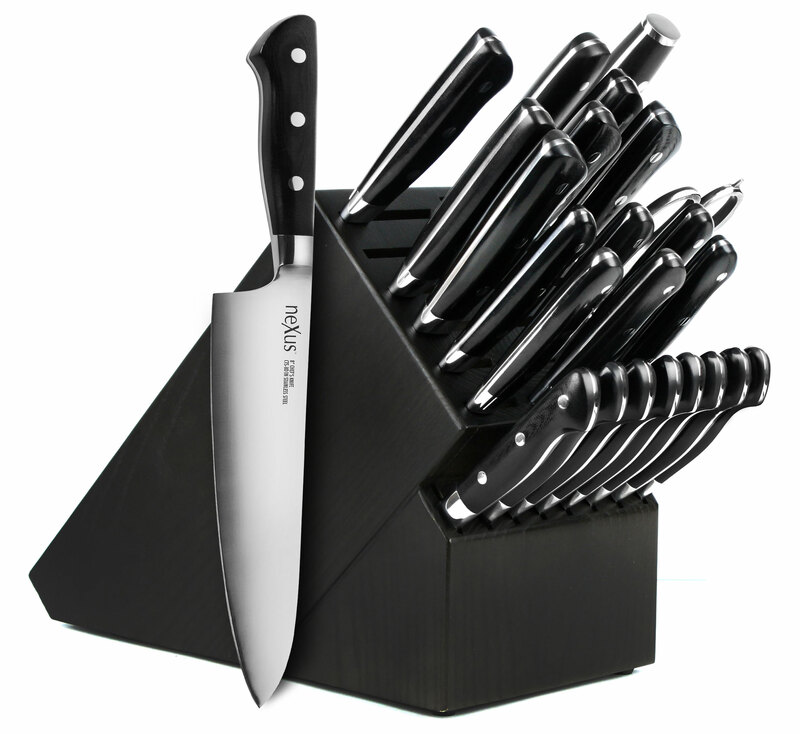 Nexus BD1N series knives combine state of the art materials with manufacturing technology. Utilizing newly developed steel made in Pennsylvania, the BD1N stainless steel is highly corrosion resistant and super hard. This American steel is unlike conventional German and Japanese knife steels as it incorporates nitrogen in the steel composition for superior toughness. 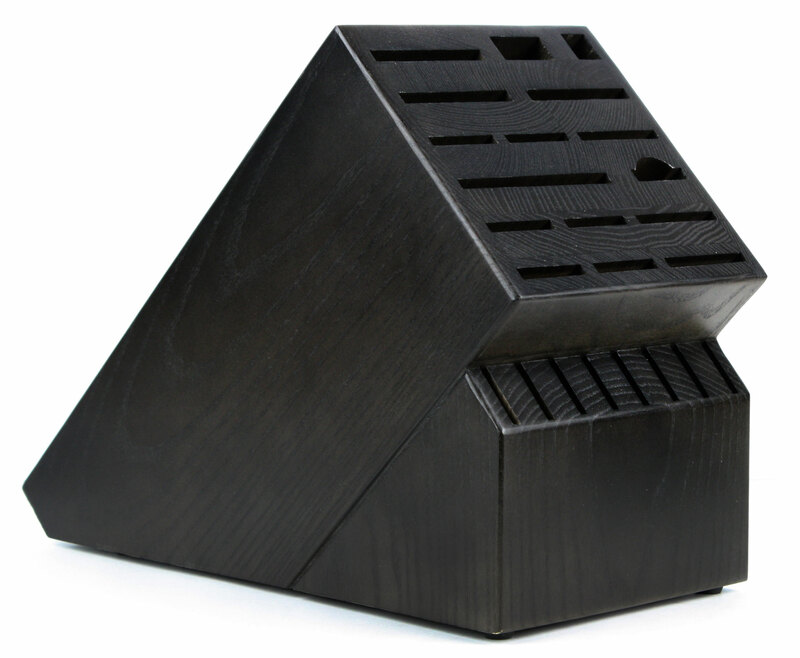 Developed by Carpenter Technologies, this steel is treated to a high Rockwell hardness of 63°. Even though this steel is extremely hard, it is incredibly tough and is not as prone to chipping that is common with other steels in this hardness range. The key to creating a superior performing blade is how the blade is heat treated. 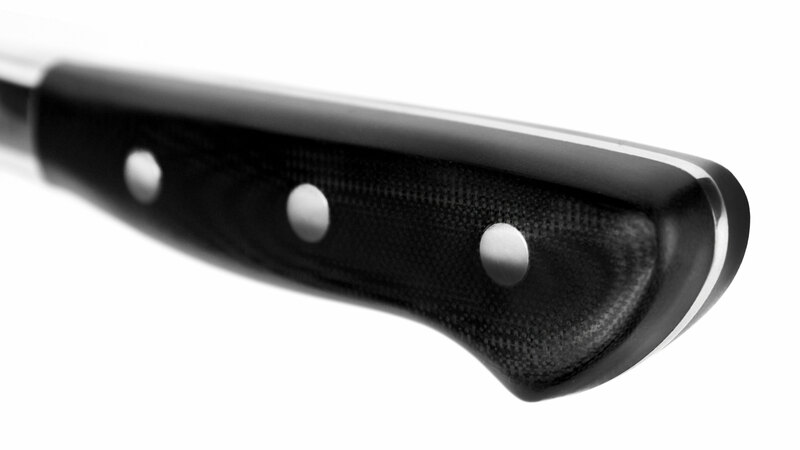 All Nexus blades go through a specialized vacuum heat-treatment for the utmost consistency throughout the entire blade. 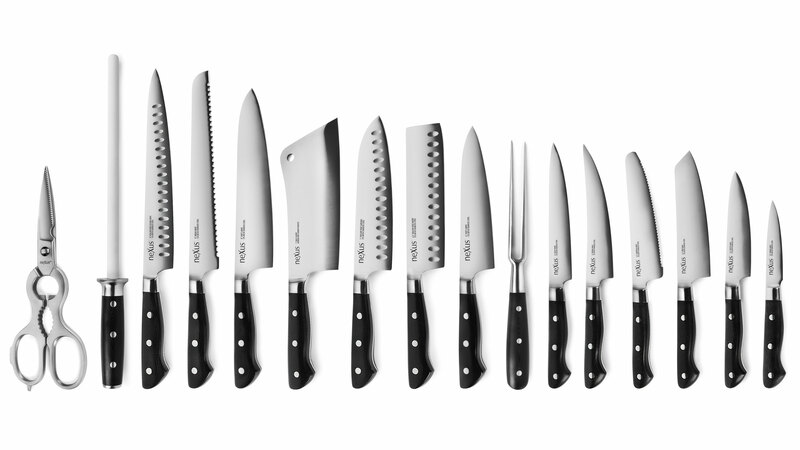 Each knife is hand sharpened to a 15 degree double bevel. 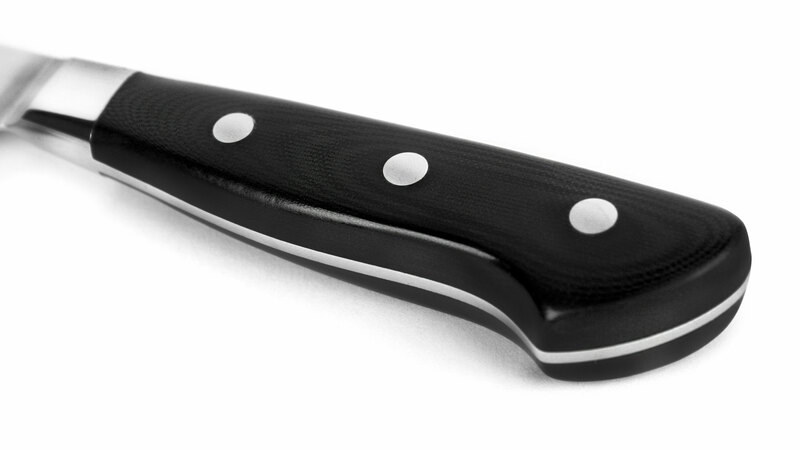 Indestructible G10 handle scales compliment the full tang construction for a truly durable and well balanced knife. 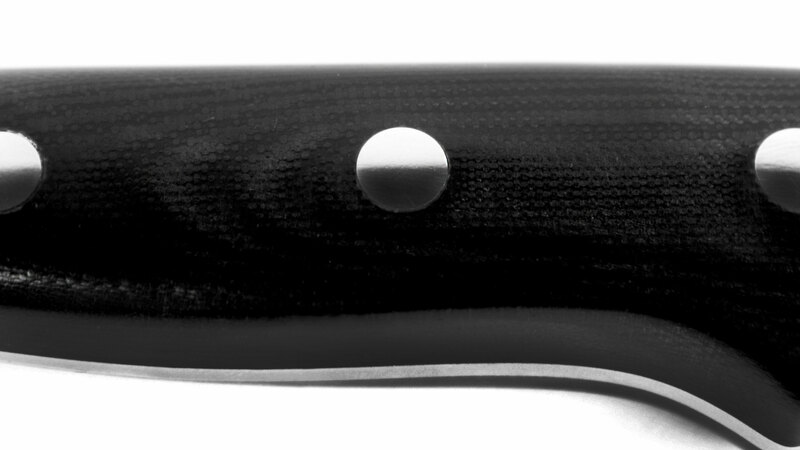 The G10 is beautifully finished and polished, black with gray striations, accented by three stainless steel rivets. 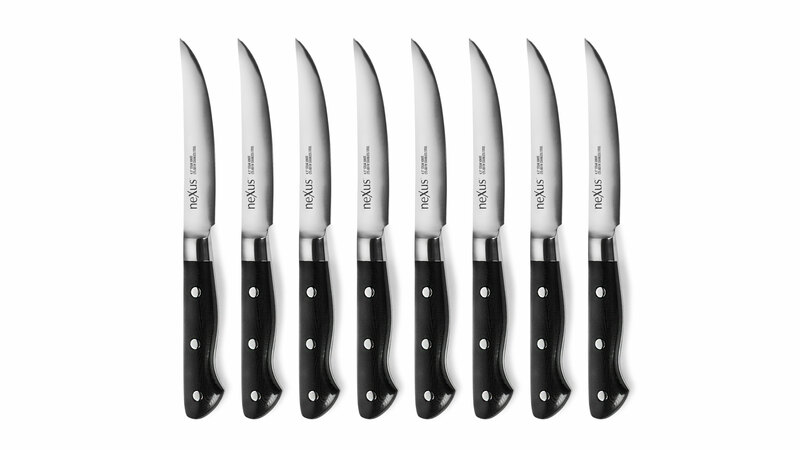 G10 is a glass based material that is the ultimate in durability when it comes to knife handles. 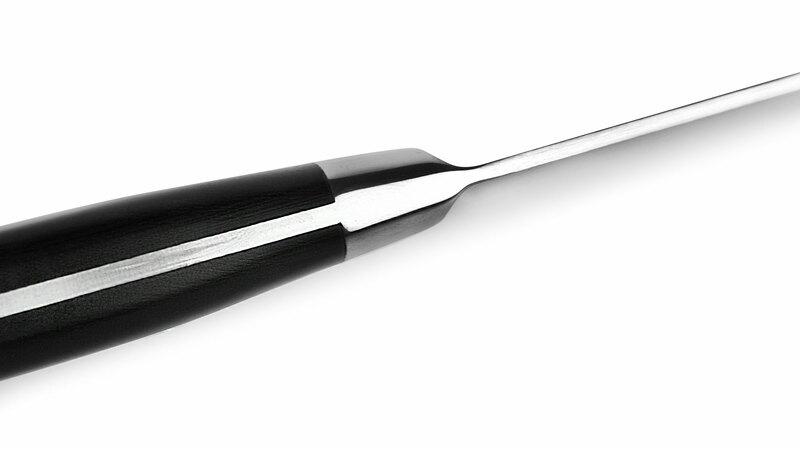 Unlike traditional materials like wood or plastic, this handle will never crack around the rivets -- even if they end up going through the dishwasher. Guaranteed. 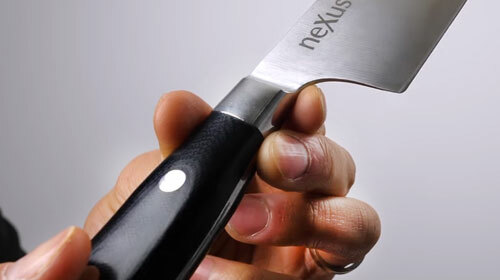 The Nexus series of knives has been developed for discerning chefs that need high performance tools that welcome the rigors of a professional kitchen. All Nexus products come with a lifetime warranty against ANY defects. Your experience with our products is of the utmost importance and if for any reason you are not satisfied, we are here to assist with a free return for a refund or replacement. We are serious when we say that your satisfaction is guaranteed. 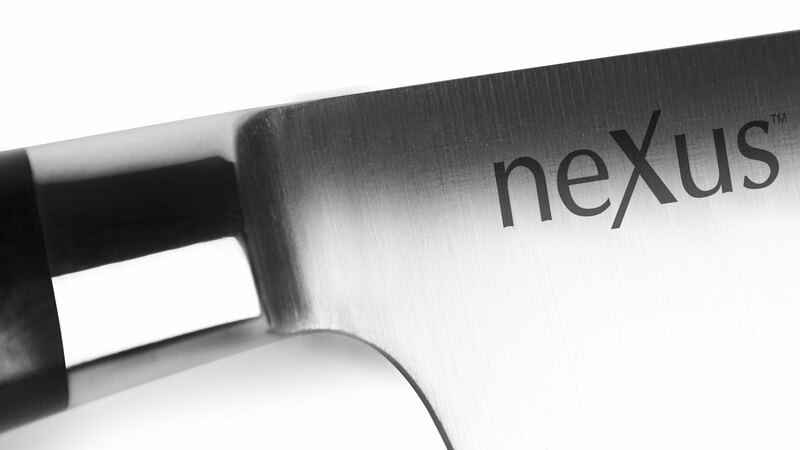 All Nexus products are handcrafted in our state of the art facility in YangJing, China, a city renowned for knife crafting. For those looking for a budget high performance knife. This is a dream knife come true. 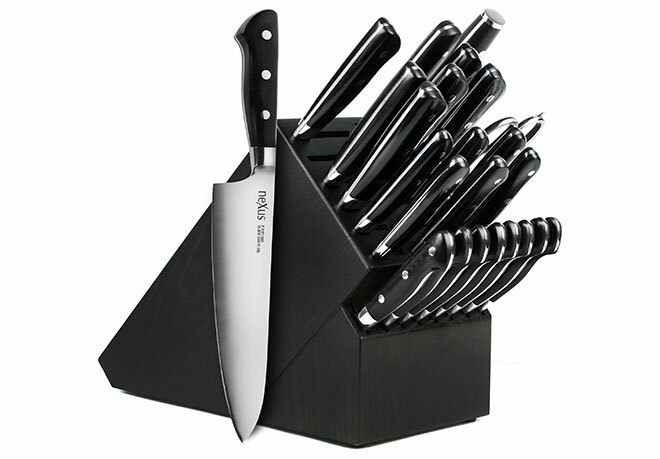 Edge retention is incredible, handle is very comfortable, and overall fit and finish is very good.